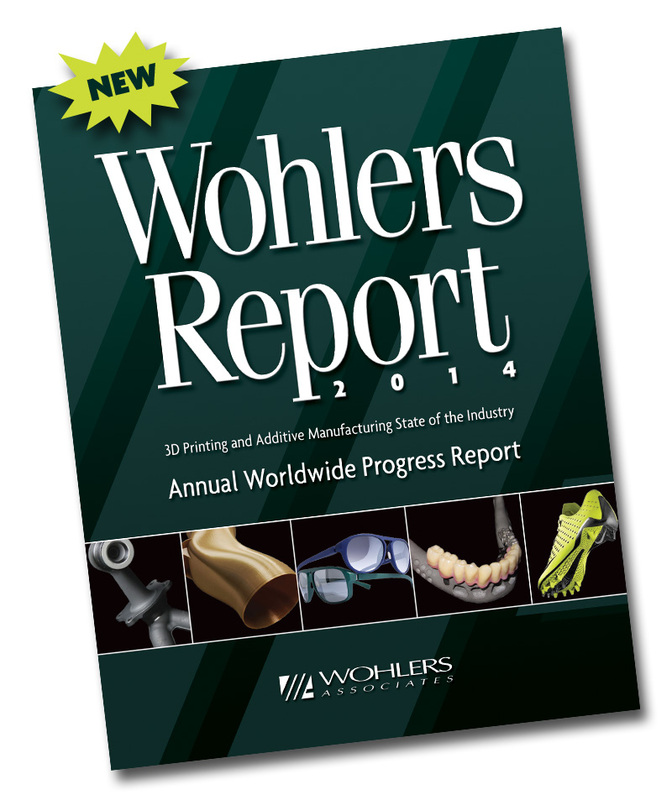 Wohlers Report 2014 provides an in-depth look at market forces and competitive pressures, as well as growth of the industry. The market for 3D printing, consisting of all products and services worldwide, grew to $3.07 billion last year, according to the new report. The compound annual growth rate (CAGR) of 34.9% is the highest in 17 years. The growth of worldwide revenues over the past 26 years has averaged 27%. The CAGR for the past three years (2011–2013) was 32.3%. The 276-page annual Wohlers Report is packed with up-to-date and practical information that includes 35 charts and graphs, 60 tables, and 248 images and illustrations. The report, which sells for US$495, was created with support from 82 service providers, 29 system manufacturers, and the valuable contributions of 70 co-authors in 24 countries. I’ve known Terry Wohlers and Tim Caffrey for several years, and in my experience, Wohlers Associates continues to be the pulse checker and voice for the AM and 3D printing industries. I highly recommend the Wohlers Report for its breadth, depth, and insights as the source of accurate and objective information about the exciting and evolving world of AM. This entry was posted on Thursday, May 22nd, 2014 at 06:00. You can follow any responses to this entry through the RSS 2.0 feed. You can leave a response, or trackback from your own site.